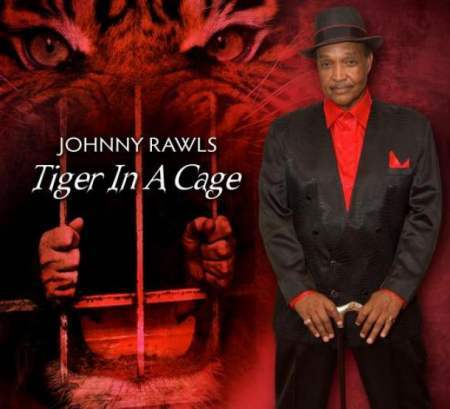 Johnny Rawls is becoming one of the last of his generation still keeping soul blues alive. The album is his first since joining up with the great and now late Otis Clay in 2014 for their Soul Brothers album which won the Blues Blast Music Award for Best Soul Blues Album. In 2013 he released Remembering O.V., a tribute to his mentor O.V. Wright. 2012 saw the release of Soul Survivor, a multi-BMA nomination garnering work that followed another that also got multiple BMA nominations, the 2011 album Memphis Still Got Soul. And in 2010 his album Ace of Spades won the BMA for soul blues album of the year. With these acclaimed six albums in seven years Rawls shows no sign of slowing down. He’s producing a lot of great stuff, both originals and covers. He’s been recording for Bob Trenchard and Catfood Records since 2005 and the two worked together for 8 years before that on several projects. Weaned by the greats O.V. Wright and Little Johnny Taylor, Rawls has learned how to be front man to a fantastic band and get the most out of a song. With Rawls here are his band the Rays, which features Johnny McGhee on guitar, Bob Trenchard on bass, Richy Puga on drums, Dan Ferguson on keys and accordion, Andy Roman on sax, Mike Middleton on trumpet, Robert Claiborne on trombone, Nick Flood on baritone sax, Jon Olazabel on percussion and vocal backups by the Iveys. The guitar and horns are spectacular. The band is together and work spectacularly as a team. I was impressed on each cut how they complemented each other. It was truly a great, team effort. Nine originals and three covers comprise the album contents, and Rawls gives some fine performances. Rawls wrote or co-wrote the original songs and Trenchard had his hand in on five of them. The title track gets things started. This is a cut about a 19 year old sent off to prison with a life now wasted. The growth of prison populations due “War on Drugs” failures creates a sad situation for us. Prisons are filled with men who are like tigers and other zoo animals; hopelessly incarcerated, pacing cells and prison yards with no aim and getting more and more filled with rage. Another original follows, “Born to the Blues” where Johnny sings how he was born in Mississippi and has spent 40 years keepin’ keepin’ on. Rawls reprises his classic “Red Cadillac” and he and the Rays nail it. “Every Woman Needs a Working Man” is also an original tune and Rawls tells us what women need. A driving beat keeps it loose and fun. “Reckless Heart” takes us down and Rawls smoothly transitions into a more soulful and slow tempo-ed pace. This highly orchestrated ballad is well done. The next tune is “Keep It Loose” where Johnny tells us about taking his woman down to the juke joint. Sam Cooke’s “Having A Party is the first of the covers. Rawls starts off with sparse accompaniment (bass drum and piano) and he and the band build into a swinging and sweet cover of this song. I loved the trombone solo here! The take out is also scaled down; I loved what Rawls did here. He follows that with Jackie Wilson’s “Your Love Is Lifting Me Higher.” This one exceeded my expectations; no schmaltz here. 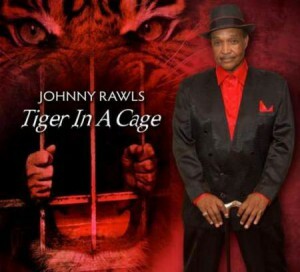 Rawls gives it a great effort and sings and swings seemingly effortlessly. The horns blare and the backing vocals are slick. “Southern Honey” spins us a country styled blues where Eden Brent shares the mike with Rawls. The two are backed by the band and some fiddles/stringed instruments to help set the tone. Another winner! The next song “Lucy” is tune about a girl who gets juicy and likes to pop her coochie. Ok, it rhymes and actually it’s a fun little cut. The third and final cover is a very nice soulful blues version of the Stone’s “Beast of Burden.” Rawls gives an impassioned performance with some gritty emotion. Rawls closes with a soulful and slow song named “I Would Be Nothing.” It is a big love song and Rawls gives his all. 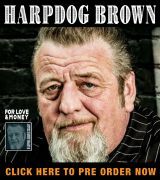 I saw Johnny at last year’s Chicago Blues Fest and he put on a helluva show at the Mississippi Juke Joint Stage. He drew a huge crowd out in the sun as he amazed the fest attendees with his powerful performances. 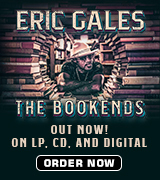 This album shows he can be artful and prolific and firmly cements him as a top soul blues artists. The critical acclaim he has gotten is well-deserved. These are some great albums he is producing and I think he’s even better live. If you want to hear one of the masters of soul blues, go out and buy this CD. You will not regret it.